(NaturalNews) Slowly but surely, the patience of the American people in the face of constant abuse by an omnipresent central government is wearing thin, and they are showing their displeasure by pushing back. AllGov.com reports that resistance is growing to invasive Border Patrol questions regarding citizenship at rising numbers of checkpoints far removed from the nation's borders, particularly in the Southwest. Many Americans are simply refusing to answer, believing that the questions posed by Border Patrol agents at these far-removed checkpoints is unconstitutional and improper for law-abiding citizens. As further reported by the Houston Chronicle, many of the protesters have begun using dashboard and cell phone cameras to record encounters with Border Patrol officers, some of whom have taken to breaking out car and truck windows, dragging motorists from their vehicles and then detaining them. The newspaper reports "these travelers are among the latest to join what appears to be an informal alliance of people, possibly into the hundreds, recording their encounters at Border Patrol checkpoints," and that "some of the travelers appear to be making a stand for what they say are their rights and contend that the government, which has long drawn support for doing whatever is needed to protect the nation's borders, is going too far." The showdowns are not occurring at entry points to the United States, but at dozens of permanent checkpoints the Border Patrol operates dozens of miles from the border along roadways headed to the interior of the United States. Agents at the checkpoints strive to catch people or contraband illegally in the country from making it any farther. The challenge is what are agents supposed to do to quickly and efficiently find law breakers. Travelers moving through checkpoints are often asked where they are coming from, where they were born, and where they are heading. The paper points out that most Americans don't mind the questions and answer them easily, seeing it as their duty to cooperate and assist Border Patrol officers with their quest to find individuals who are in the country illegally. "But a small, and apparently growing, number of people say they should not have to answer any such questions from armed federal agents, and they also refuse to consent to searches of their vehicles. They say that people should not so willingly give up their rights," the paper noted. There is currently no way of knowing how many times per day agents and drivers clash over the questions or what happens when they do. But dozens - perhaps hundreds - of videos have been uploaded to YouTube and other social media showing some of the most extreme encounters. At times, agents simply wave drivers through who say they don't want to answer questions; in other cases, the encounters turn rough. Even in places far removed from the border, deep into the interior of the country, immigration officials enjoy broad - though not limitless - powers. Specifically, federal regulations give U.S. Customs and Border Protection (CBP) authority to operate within 100 miles of any U.S. "external boundary." 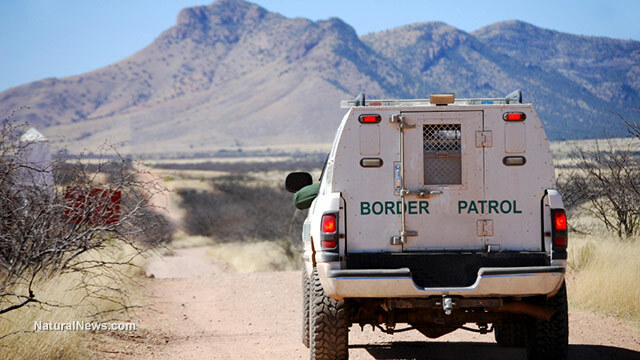 Border Patrol agents must still have "reasonable suspicion" of an immigration crime being committed, and agents cannot search vehicles without consent from the driver or a search warrant, the civil rights legal group notes. Nevertheless, the growing number of U.S. drivers who are resisting indicates that more Americans are getting fed up with the constant hassle of dealing with one or more federal government agencies.